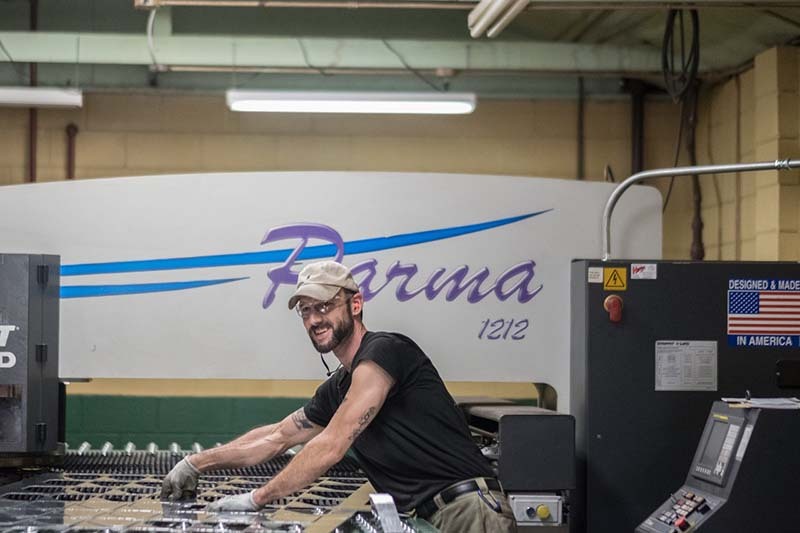 That goal is paying off for Powers and his team — including two CNC programmers and six shop-floor staff — who produce parts primarily for the military sector, as well as conveyor and tractor-trailer accessory businesses. 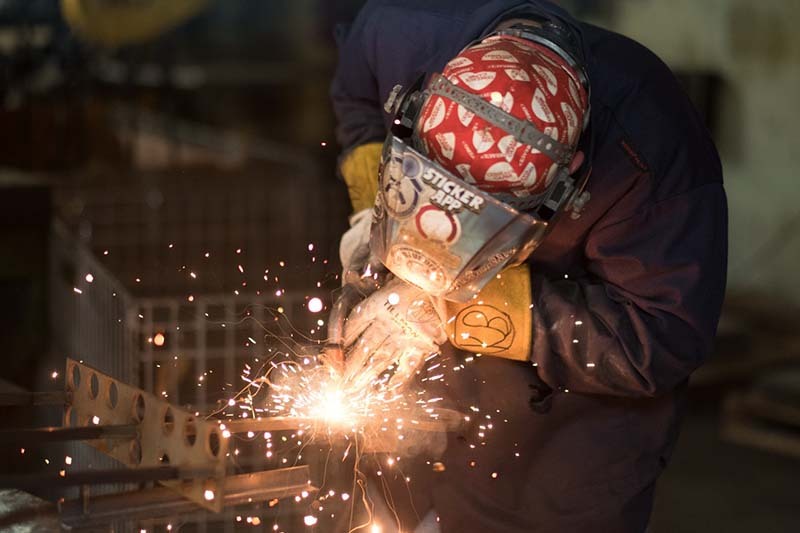 After QFS opened in 2014, Powers quickly found ways to increase efficiency by retooling company processes, including those for material and data management, CNC machinery and software, and others. Among improvements were the integration of an ERP system and the purchase of the Radan CAD/CAM solution for sheet metal, by Vero Software. As a former machine-tool salesman, Powers is familiar with several different types of CAM solutions, including Radan. While he initially chose Radan for its powerful profiling capabilities, Powers found that it was the “best for profiling, punching, and forming,” and an ideal fit for QFS because he wanted one solution that could handle all of the company’s programming needs. The company recently added punching capabilities and will soon add a press brake to its programming lineup. A new Accurpress press brake was chosen in part because of the machinery’s seamless integration with Radan. “One of the reasons I picked Accurpress is they have had success with Radbend offline bending software for their press brake controls,” Powers says. 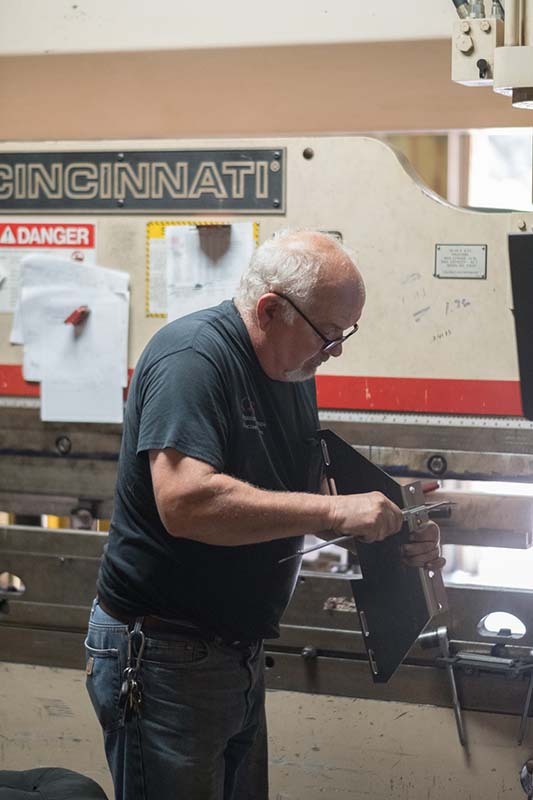 Jobs begin at QFS when purchase orders are entered into the company’s ERP system, which in turn generates a router, or job traveler, with vital job information. The plant manager then generates a daily manufacturing schedule based on due dates and hands it off to the company’s CNC programmers. QFS sometimes receives customer designs in the form of solid models, which can be easily imported into Radan with geometry intact. Other customers supply designs on paper, which are redrawn in Radan using the software’s CAD capabilities. QFS programmers generate nests whenever possible, which reduces both material costs and manufacturing time. To ensure an ideal result, Radan analyzes part shapes, materials and thicknesses for components to be nested on sheets, off-cuts or remnants. The system’s powerful nest-editing tools of Radnest module provide an additional level of flexibility to users who wish to edit automatically generated nests. Radan also produces associated data so that shop-floor personnel can quickly and easily identify completed parts. 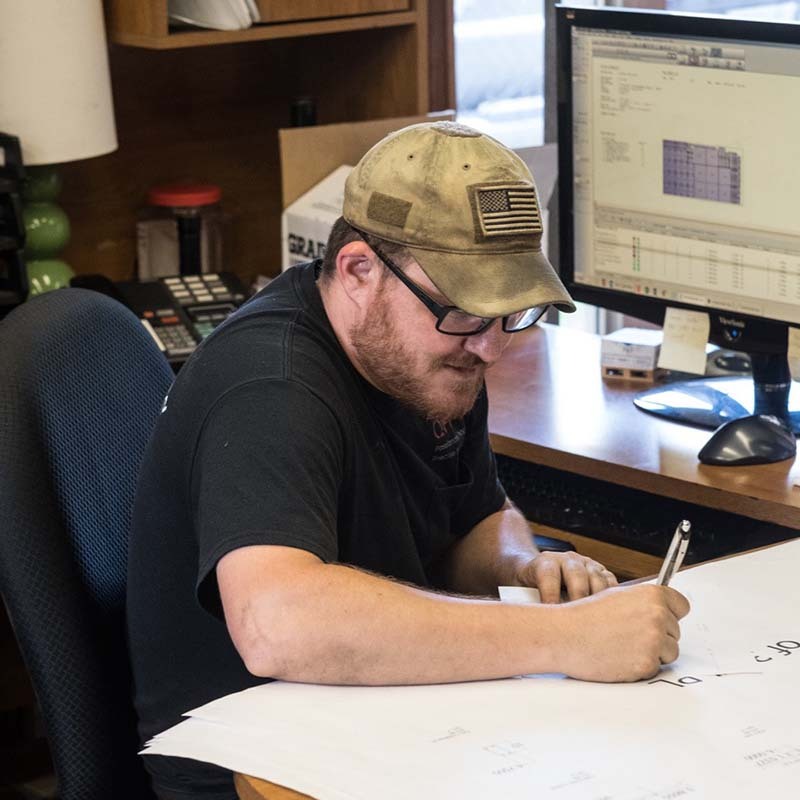 Powers, who handles all sales for QFS, also uses Radan as an estimation tool, as he can quickly determine accurate job costs based upon the solution’s ability to identify material needs. With customer service at the forefront of his activities, Powers notes that Radan’s nesting capabilities are an asset to be shared with his existing customers, as well as a money-saving bonus that can be used to increase his loyal customer base. “If you can nest parts, you’re saving your customers money, and I typically pass on all my savings to my customers,” Powers says. 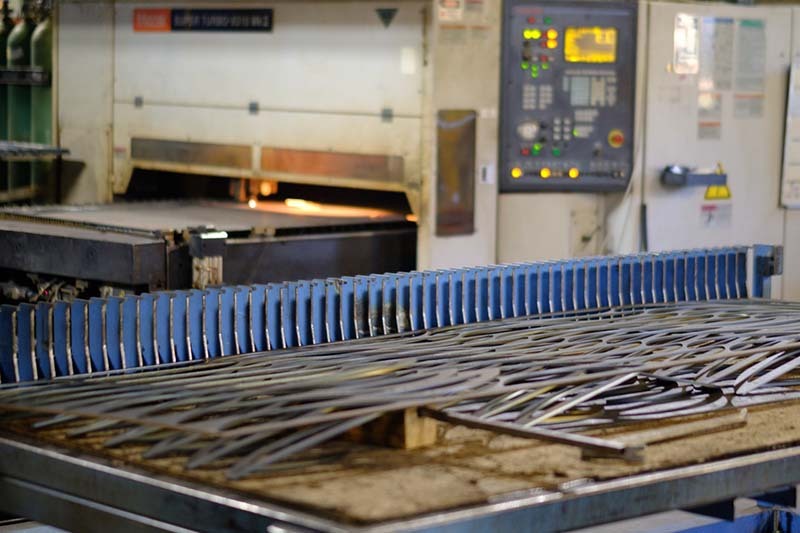 Most significantly, the integration of Radan has helped the shop increase efficiency, set and enforce standards, and instill a high level of overall consistency. Customer service is simply second nature to Powers, who is enjoying the fruits of his efforts. While QFS earned over $400,000 in sales in 2014, the company grew to over $600,000 in 2015 and over $1 million in 2016. In other words, his investment in process improvement is paying for itself.